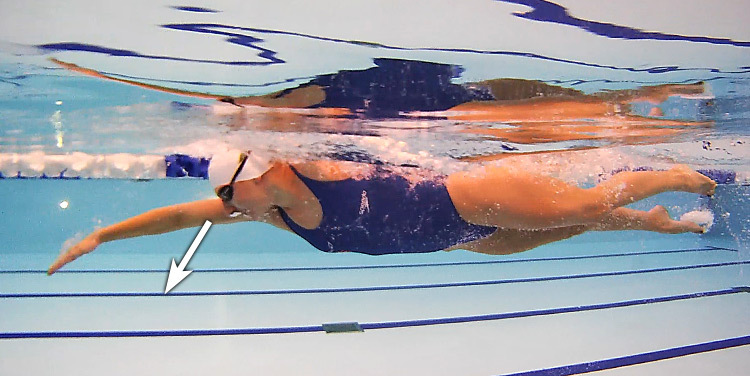 Choosing The Right Head Position For You ~ Feel For The Water! Advice & Tips to Improve Your Swimming. Thanks for this excellent post. I find it very reassuring. I tend to look forward and I've received advice to look down, which doesn't feel good at all with my swim style. good post! I've watched and tried out lots of techniques over many years. 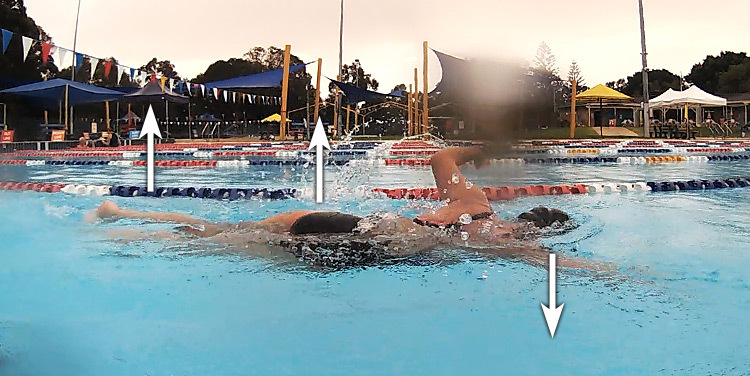 The universal acceptance of head down to pull the legs up is one of swimming's great myths in my opinion. Distribution of body wt. just varies too much from person to person. In addition joint flexibility is so individualistic you can't advocate a single style in any aspect of crawl technique. I have seen some very fast swimmers with straight arms and high heads! Excellent post. I tend towards the face down approach (probably look about 1m ahead). It may be a false impression, but I always feel like the curvature of my upper back (particularly when pulling) is another significant factor in keeping me higher in the water. 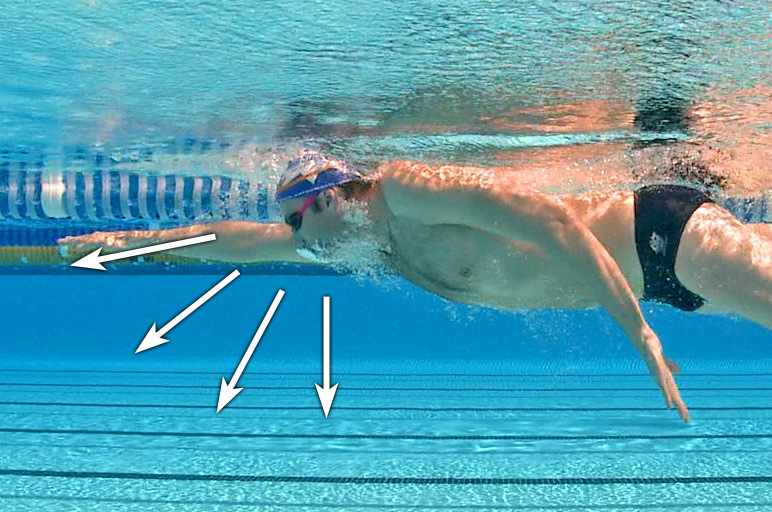 i have heard some of the US elite athlets mention it as the new A and O of fast swimming - but still not exactly sure what it looks / feels like??? I swim at Canada's elite swimmers pool. Thus i can "spy" on them (and i sure do), and it appears to me that a lot of their forward push comes actually from their hip / body roll pushed from the hip?? This is what i see when they train, not race, but even so they are still much faster than me. Their footwork does not look like much at all, their catch seems pretty good standard. Hi Paul & the team - hope this isn't my 15 minutes of fame! I can honestly say I never EVER swam with my head this low after seeing this video of me and am much faster for it. The only draw-back is that I do occasionally get sore in the back of my neck. Rudolph - if you want to see what "Swimming downhill" feels like - look at my picture - this was exactly what I was visualising at the time!! Thanks for this post Swim smooth I'm always interested in what thoughts you have about current line of thinking. I have a few thoughts to share. As a swim coach I do start with the basis of head and chest down but do adjust for individuals based on the buoyancy you mentioned. I do however have another and more important reason for the head down or what I increasingly refer to now as neck relaxed or flat and that is swimming straight and reducing shoulder tension. What are your thoughts on a relaxed neck allowing the head to drop to a position that is more neutral? ie letting the head find its own buoyancy. 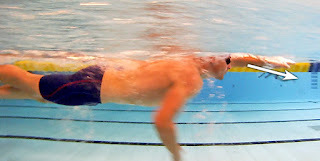 This, I believe, helps swimmers in open water swim straighter (as their is less tension in the muscles causing the head to be held out of alignment) and therefore helps minimise the head up navigation causing tiredness. 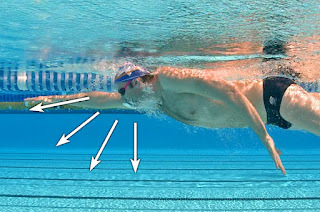 Also when the swimmer exits for the ride they haven't pre exhausted their shoulder and neck muscles before hitting the aero position on the bike. As a run coach also I notice the changes in running posture toward the end of a triathlon due to tightnesses in the upper body. I just goes to show as you suggested that there is no size fit all but rather an individual approach. Having said that we have to start with something. Nice to hear from you Barbara - like you say, the key thing is that you're now faster. As Ali mentions above, you don't want to be straining to get your head position higher but really just being aware of where the head sits in the water and how this then affects your stroke. I cannot being impressed with your articles so congratulations to you all. This will certainly be my 5 minutes of fame or infamy...:-). I never had swimming lessons and made my way through learning the hard way when I was a teenager swimming from a beach in Algarve to an island 500 meters away and back. I swallowed so much water that eventually water became my natural element. I cannot swim properly anything else than freestyle and even that I guarentee you it is not much of a style but gets me through pools, open water flat or wavy for as long as my body temperature can sustaine. 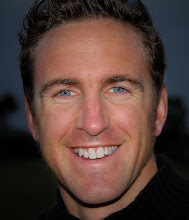 I am now 46 and two years ago I embraced Triathlon as a sport and I am finaly taking lessons and swim smooth became my online bible for swimming. However I still struggle with so many changes I need to do in order to improve my technique and a couple days ago I was surprised to see something that I never paid attention. My wife filmed me swimming with me knowing from an above view. I was just swimming relaxed with no effort but I could see in the small video clip my legs spread apart and bending producing so much drag that I wonder if this isn't one of my major flaws, now how do I get those legs to work with the rest of the body? 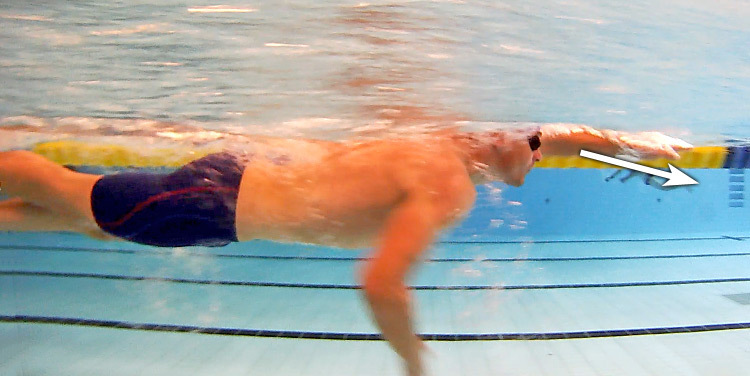 It's always better to know the basics of how to swim effectively and safely. In this way, you can assure yourself that you can take good care of yourself while dipping in to the pool. I think there is another important point that you have missed from the discussion about head position. and that is to do with muscular tension in the neck. One of the advantages of a neutral or head "down" position is that the neck and head can be free from tension. This definitely helps less experienced swimmers to feel more relaxed and comfortable. and in general releasing tension from the body in motion will result in improved efficiency, i'm more of a runner than a swimmer but I know thats definitely the case with running.